Location: 1635 North LaSalle, Chicago, Illinois 60614. Corners of North Avenue, Clark Street, and LaSalle Street; Lincoln Park neighborhood of Chicago. 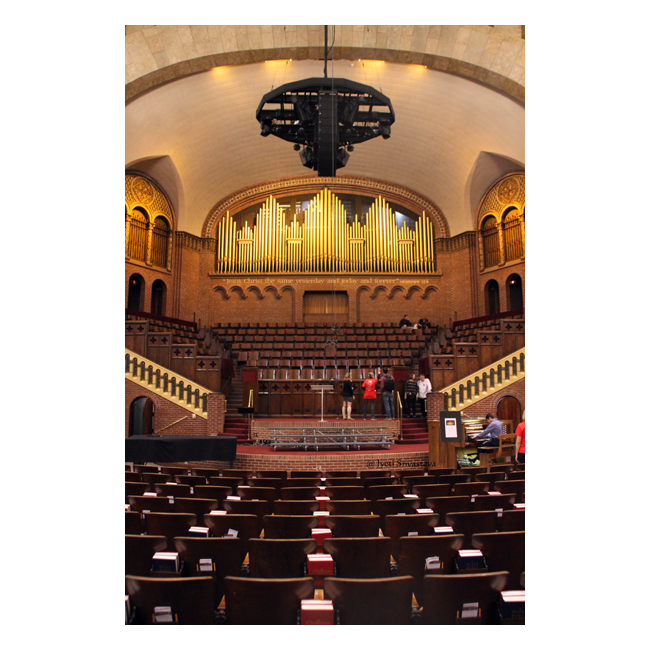 The church is named after the famed evangelist Dwight L. Moody of the mid-to-late-19th century. Moody concentrated his efforts on promoting his Sunday school. By 1860, over 1,000 children and their parents attended each week. It had become the largest and most well-known religious outreach of its kind, with the result that President Abraham Lincoln visited the meeting one Sunday. 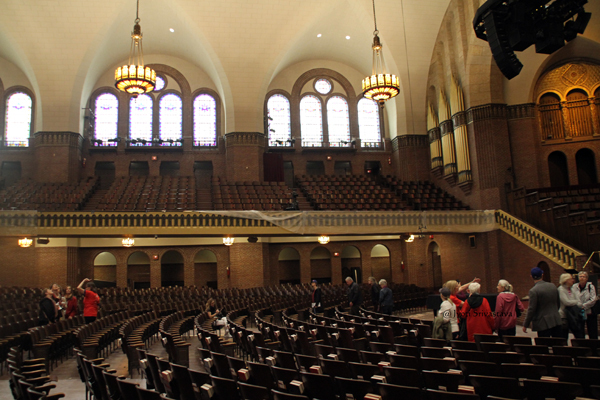 Needing a permanent home, Moody’s ministry built a 1,500-seat church at the corner of Illinois and Wells Streets, called the Illinois Street Church, which was formally dedicated in 1864. That building was completely destroyed in the Great Chicago Fire of October 8, 1871. 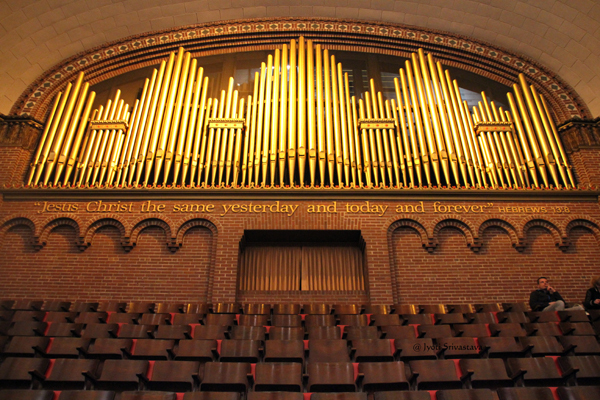 After the Great Fire, the congregation immediately raised the money to rebuild the building. 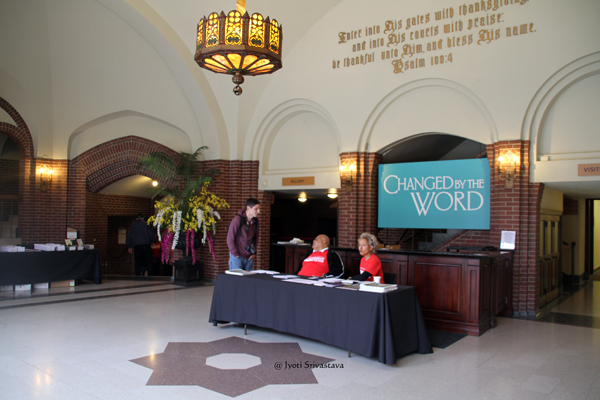 This time the site was at the corner of Chicago Avenue and LaSalle Street, which is the current location of Moody Bible Institute’s women’s dorm, Houghton Hall. 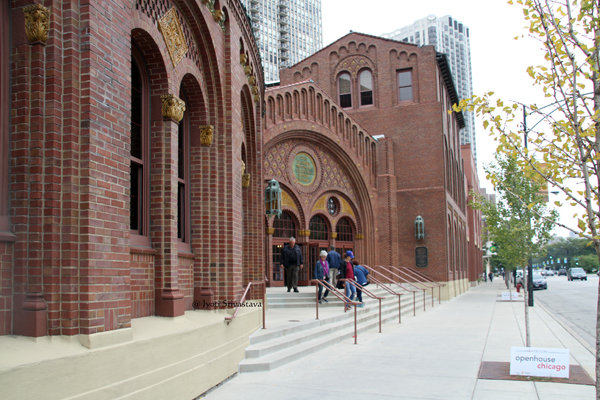 The Chicago Avenue Church, which could hold up to 10,000 people, was dedicated in June, 1876. Attendance continued to climb, and on one particular Sunday, the auditorium was filled to capacity, with an additional 6,000 people standing outside the church’s doors. Dwight Moody died after an illness in 1899, and in 1908, the church was formally renamed “The Moody Church” in his honor. 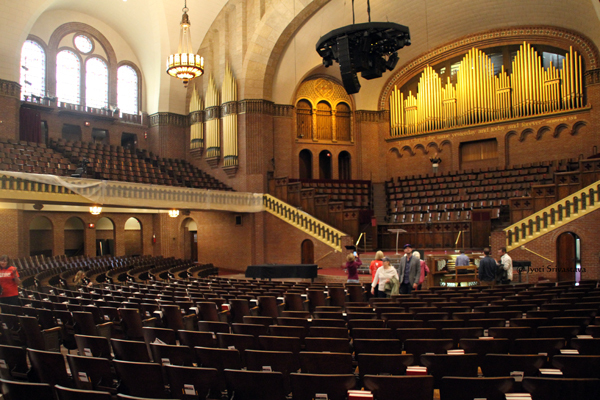 In 1925, the congregation moved to the Church’s current location. Moody Church / Lincoln Park, Chicago. 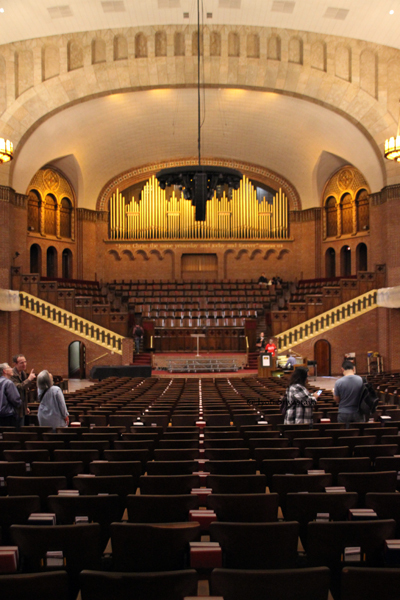 The church building was designed by architects Fugard and Knapp. Construction began in 1924 and completed 1 year later. The dedication of the building on November 8, 1925. – The building covers an area of 140 feet by 225 feet. 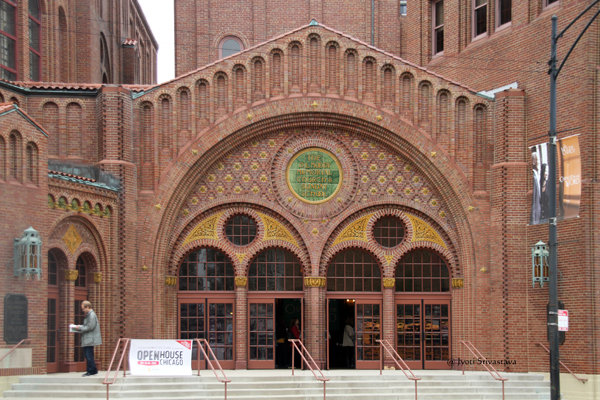 – The church melds features of both Romanesque and Byzantine architecture, and is one of the largest Romanesque churches in the US. 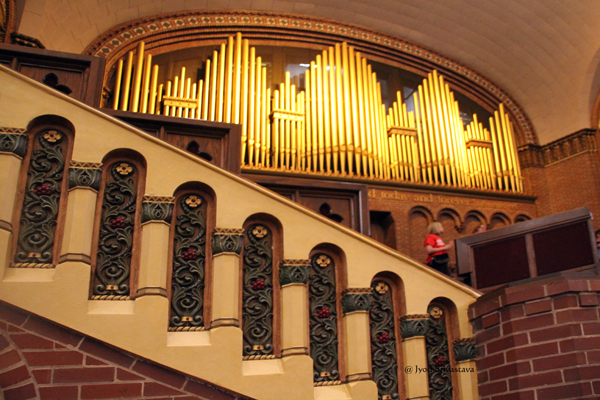 Visually, it was intended to bridge the gap between the traditional Roman Catholic cathedral and the typical Protestant church buildings of the late 19th century and early 20th century. 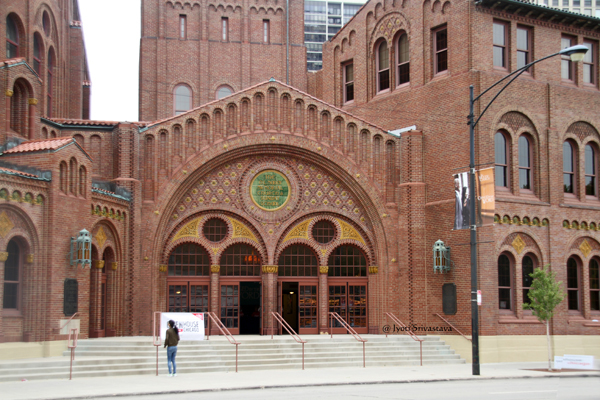 – It has Byzantine exterior on the Clark Street side and Romanesque windows and arches. – Steel superstructures with brick overlay. 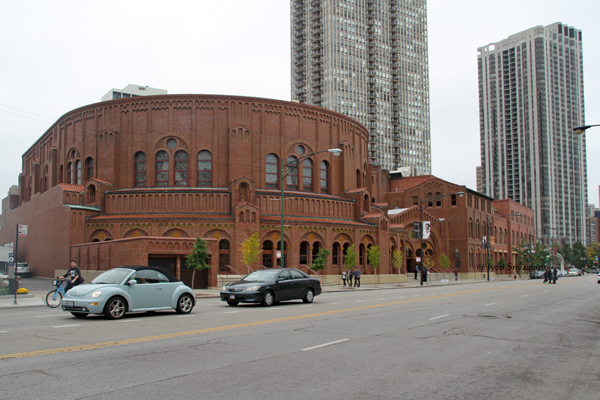 – Originally it was designed to be 20 feet longer to the west, but was cut off because of LaSalle Street expansion. Be thankful onto him and bless his name. 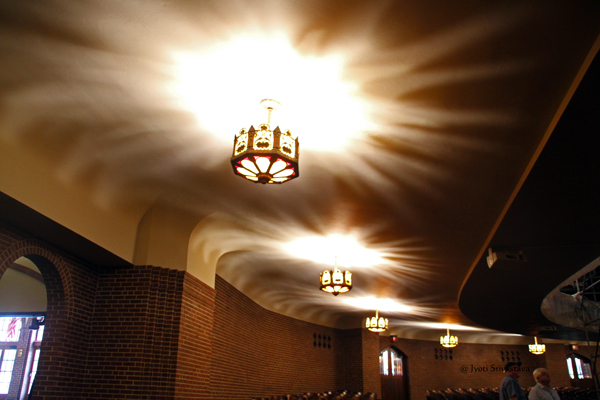 Auditorium, Moody Church / Lincoln Park, Chicago. 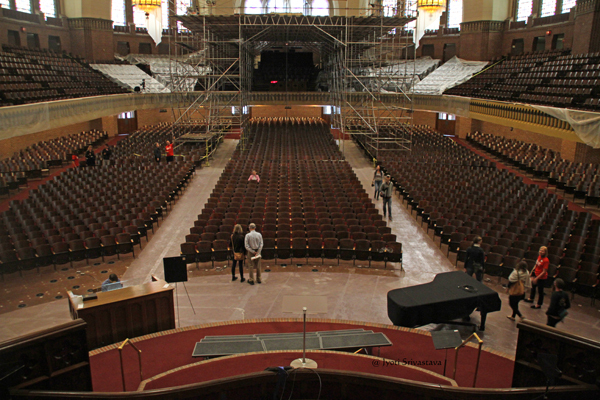 – The church building has the largest non-pillared auditorium in the Chicago area. 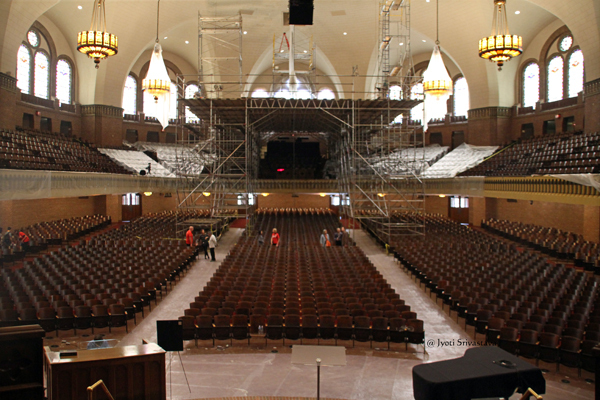 – The auditorium has permanent seating for 3,740 people, 2,270 on the main floor and 1,470 in the balcony. 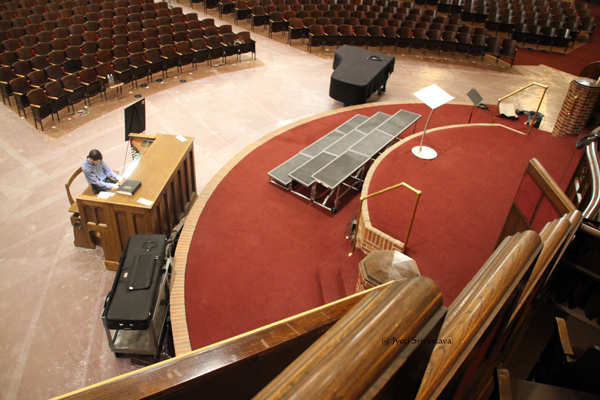 – The curved balcony was one of the earliest examples of cantilevered construction, and its curvature – as well as the rest of the layout of the auditorium – was designed so that all lines focus on the pulpit. 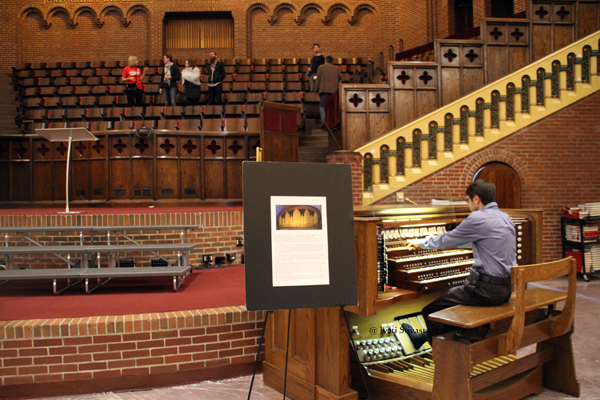 – The sound systems ofthe building has almost-perfect acoustics. 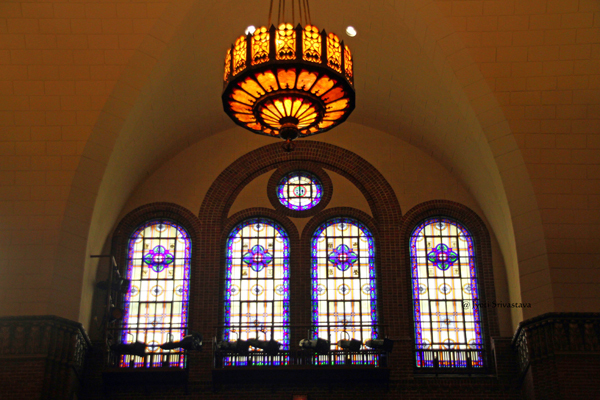 – Above the balcony, around the perimeter of the building, are 36 large stained glass windows, no two of which are alike. All were donated as memorials. 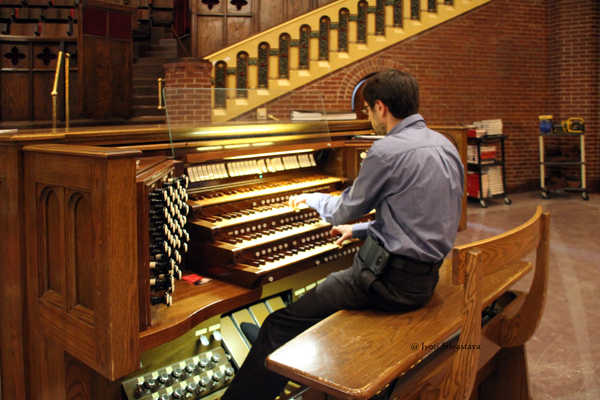 – When originally built, the church did not have an organ, but later a 4-manual Reuter organ with 4,400 pipes in 54 ranks was added. 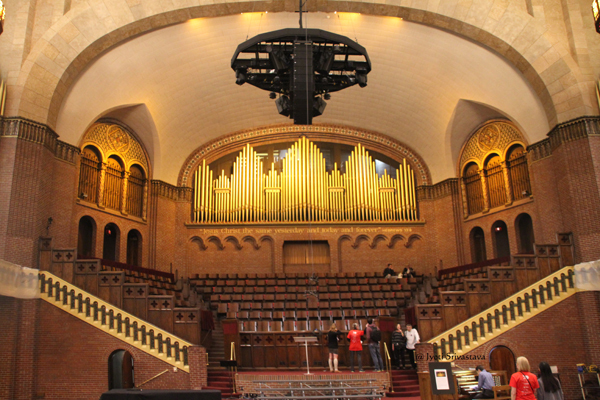 The pipes visible in the sanctuary are merely decorative, the actual instruments being hidden behind a black curtain. Jesus Christ is the same yesterday and today and forever. Hebrews 13:8 / Moody Church / Lincoln Park, Chicago.